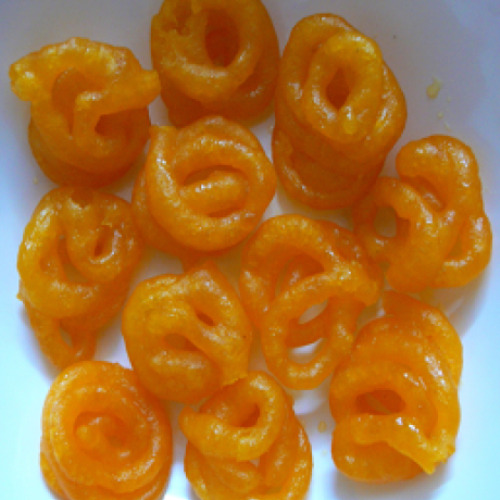 Jangiri is a very popular sweet in South India. Wedding feasts in South India are mostly accompanied by this glossy, flower shaped sweets. It is prepared by using rice flour, urad dal and sugar. These are small in size compared to normal jangiri.